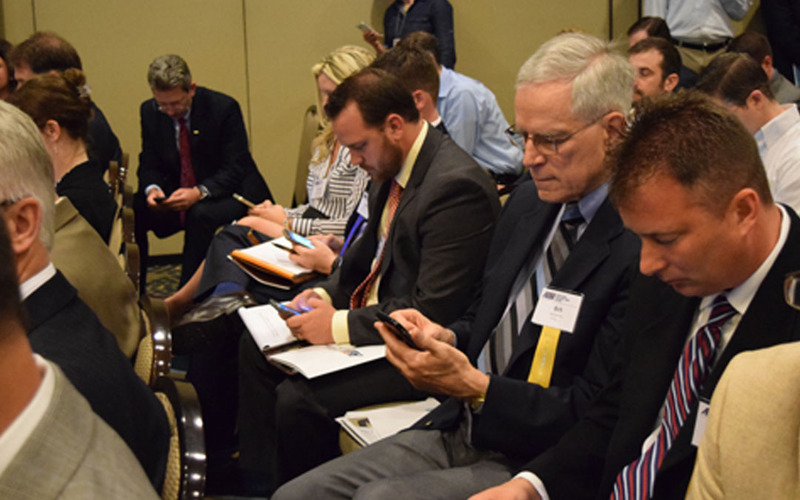 ARTBA is stepping up the digital grassroots advocacy campaign it launched last month to focus new pressure on Republican and Democratic leaders in Congress to find a permanent funding solution for the Highway Trust Fund (HTF). The latest wave of the campaign began May 6 with a call to contact House Ways & Means Committee Chairman Paul Ryan (R-Wis.) via his social media channels. It will continue to target congressional leaders up until the Memorial Day recess, which is right before the May 31 deadline to extend highway and transit funding. Every U.S. senator and 97 percent of the members of the House of Representatives are on Twitter and Facebook. They pay attention to the conversations and postings on both, which makes the digital campaign an effective way to communicate about the urgent need to fix the HTF. Since ARTBA launched the digital campaign April 14 during the ARTBA Federal Issues Program—using the hashtag #fixthetrustfund—575 advocates have sent more than 1,725 messages and infographs to their congressional representatives. Please be on the lookout for the emails and prepared to take action via Twitter and Facebook. We will pre-load the tweet you can send, and our system will also load their Facebook page for you and include the message to post. Be sure to use both mediums in your outreach. Contact ARTBA’s Tommy Meyerhoeffer with any questions.